When they met it was murder... like a real Hart to Hart. 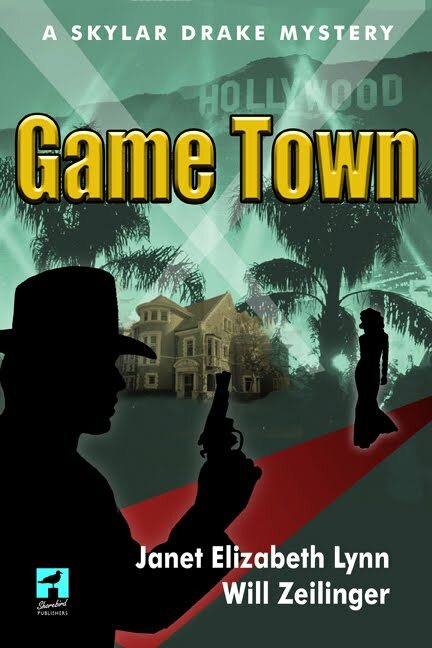 Authors Janet Elizabeth Lynn and her husband Will Zeilinger just released the fifth and final novel in the Skylar Drake Mystery series, GAME TOWN, a hard-boiled mystery set in the 1950s. They have been writing separately for over a decade and may have more Skylar Drake Mysteries in the works. Janet has been writing for 10 years and writes mysteries and romantic comedy. She has traveled to the far corners of the globe for work and pleasure. A semi retired clinical speech pathologist she loves to garden and play with her 5 year old niece Jenny. She lives in Southern California with her husband, Bill.